Light is the language of photographers and we need to understand correct usage and grammar of this language. Studio Photography Workshops are a perfect blend of understanding the theoretical aspects of light and practical photography. As a professional photographer we know that light behaves differently in natural ambient conditions and in studio lighting conditions. These workshops run a complete theory sweep for understanding the behavior of light. At Sheils photography we believe in laying strong foundations in terms of understanding the “why” aspect along with the “how” aspect. It is our job as photographers to bring out the inner beauty of the models that we shoot. A lot also depends on the mannerism and behavioral aspects of the photographer’s interactions with the models. The workshop also lays stress on understanding the interaction etiquettes during model shoots. 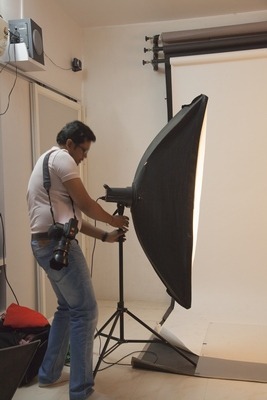 Studio Photography Workshop is conducted with professional stand-in models to make participants understand the finer nuances of actually working with the models. At Sheil’s Photography, we are crazy about light !! We like to explore, play and even get confused with light. Our method of instruction does NOT involve spoon feeding the students. In fact, it is on the contrary. We make sure that every participant in our workshop actually learns and is able to manipulate light to get the desired shot. New Addition : Professional retouching techniques tips and tricks.